The city of Romdo is perfect. Exactly the right number of citizens are produced to keep the economy flowing, dangerous elements are prevented from disturbing the peace, and ‘autorave’ robots act as servants, secretaries and companions. Compared to the desolate, poisonous wasteland outside, there’s no choice at all. Yet Re-L, a private investigator, finds it intolerably boring. One day, while investigating a lower-class immigrant named Vincent Law, she sees something she’s not supposed to, and suddenly the world starts to unravel: the evidence is removed, the memory is erased from her autorave’s head, and she’s submitted for psychiatric treatment. How much worse could the outside world be? What Re-L saw was a Proxy, a man-like monster that seems somehow tied to the existence of the city. It’s a secret so important to the Romdo that they’ll do anything to protect it. There is also a virus going around that supposedly causes autoraves to develop free will – but most cannot cope with it, going insane and becoming dangerous. The story follows Re-L, Vincent and Pino, an awakened autorave in the shape of a little girl, as they leave the city and find out what has become of the outside world. Ergo Proxy explores one big question: the meaning of life. It’s natural for anyone to ask what their purpose is, why they exist and what their life is for. But what if you had an answer? What if you knew that you’d been created to serve somebody else’s purpose? Given the weight of sentience, what sort of material answer could ever satisfy you? The story explores the insanity, the absurdity of actually having a purpose in life. From a doctor who exists for only one patient, to an awakened autorave so devoted to its master that it would kill out of jealousy, to a creature built to live forever having outlived its purpose. Philosophical stories are dangrous – too much philosophy starts to become navel-gazing, meaningless and self-serving. Luckily, it’s tempered with a mystery about how this world came to exist, and the sins a government is willing to commit to protect its people; and of the uneasy relationship between Re-L and Vincent, travelling together with so little in common. 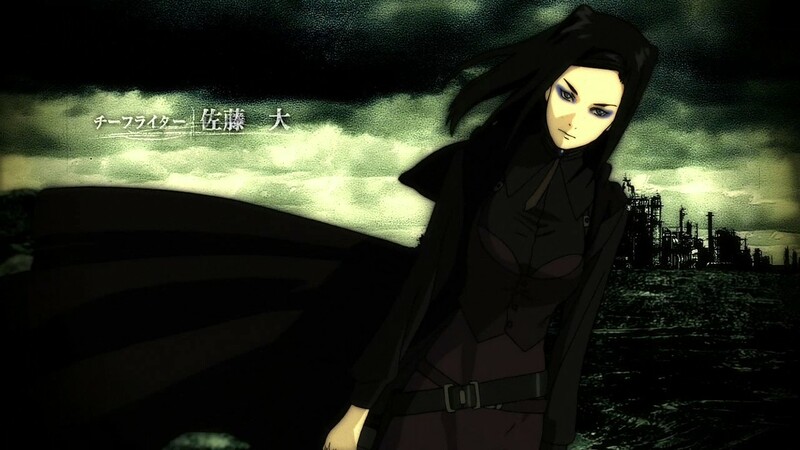 Ergo Proxy is dark, stylised, confusing and occasionally hard to follow, but it passes the ultimate test of confusing series: it knows what it’s doing even if it isn’t willing to tell you.